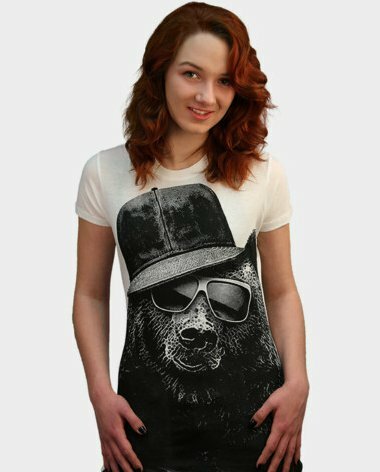 This Black Bear T Shirt is so popular it sold out in most sizes very quickly. However, the way Design By Humans works is that you can request a reprint and once they get enough requests they’ll print it again. Normally, I wouldn’t feature a shirt of the day that has sold out, but the design by RL Markossa is so cool, I just had to do it. I mean that bear has so much hip hop attitude. The hat is placed just right and the sunglasses are perfect. Just a stunningly cool design. You half expect the bear to start droppin’ rhymes.